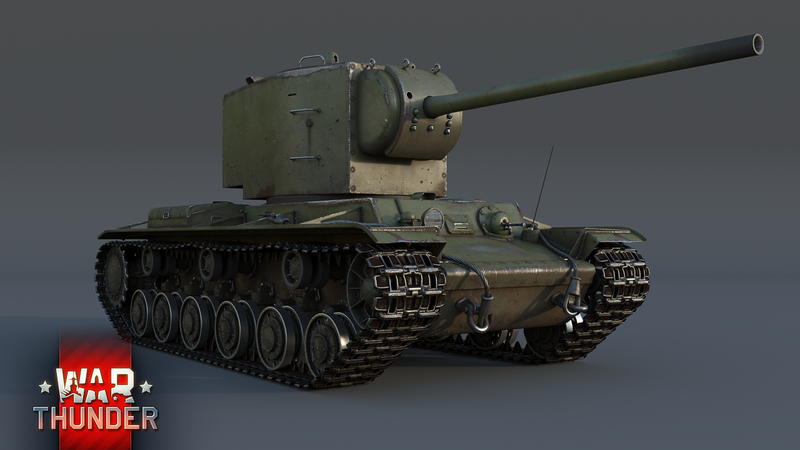 The stern and gigantic KV-2 is an old friend to tankers in War Thunder. Created to destroy enemy fortifications, the KV-2 proved to be less effective than expected in going up against the mechanized forces of Germany in tank battles of the early 40s. It was too heavy, too slow and too unreliable, it was often easily captured by Hitler’s forces as they advanced on Moscow. That said, in the relation to the game, many of the KV-2 model’s weaknesses are irrelevant, while its strengths allow it to strike fear into the hearts of the enemy team. 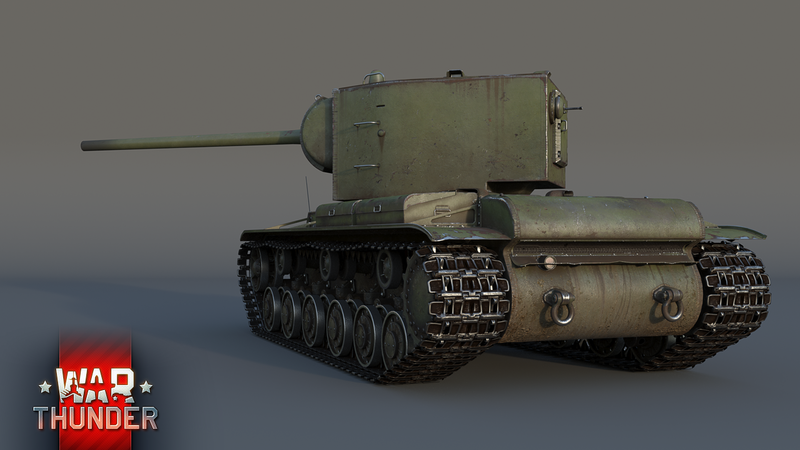 With its excellent cannon, good armour and large crew, the KV-2 is one of the leading figures to be found on the battlefield, where it can fight equally well in defense, in a breakthrough or while supporting allied medium or heavy tanks. 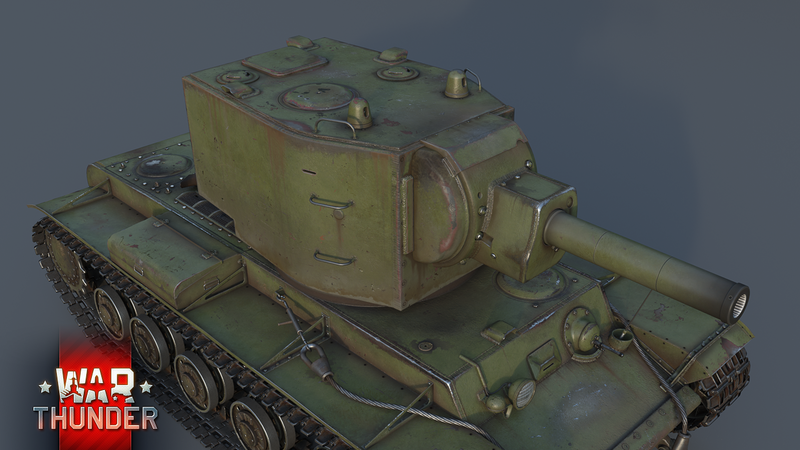 Here we see the familiar outlines from the KV-2 Mod. 1939. The powerful M-10 howitzer was installed in a modernized turret – a lower profile than its predecessor, but still large. The protection on its gun mantlet was changed – the 1940 model has a cast mantlet. In addition, it has an anti-infantry DT machine gun set in a spherical mount at the front of the hull. The KV-2 Model 1940 is a premium tank, so every hit against an opponent provides additional Research Points and lots of Silver Lions. The KV-2 Mod. 1940 can be obtained as a prize for participating in the event series Chronicles of World War II. Enjoy the signature pleasure of driving the KV-2: “one shot – one kill”. Go for it! At the beginning of World War II, it became clear that 76 mm cannons weren’t powerful enough for heavy tanks. The Soviet army needed a powerful cannon for a heavy tank, and one of the most promising examples of such a cannon was the 107mm ZiS-6, tests of which were performed on a KV-2 chassis. 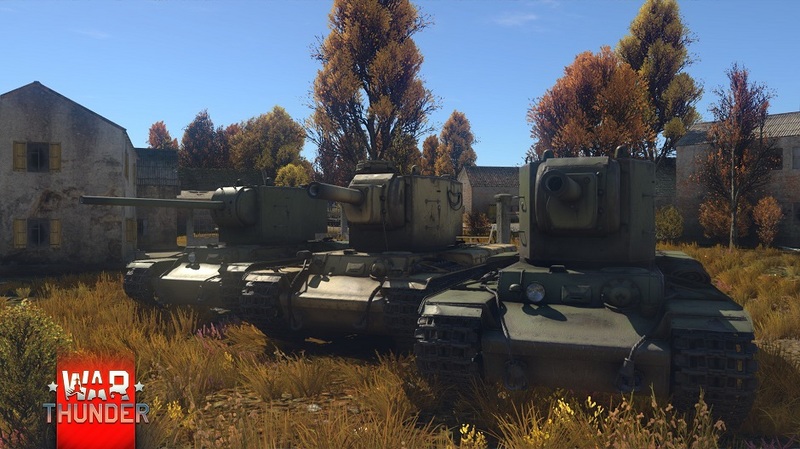 We’re adding a tank with this wonderful weapon to War Thunder. The separately-loaded ZiS-6 cannon significantly surpassed the Red Army’s previous anti-tank cannons in its characteristics, but for a variety of reasons, it never went into mass production. Two types of ammunition make up the ZiS-6 cannon’s ammo complement: APHE, with its blunt nose and a high-explosive fragmentation shell. 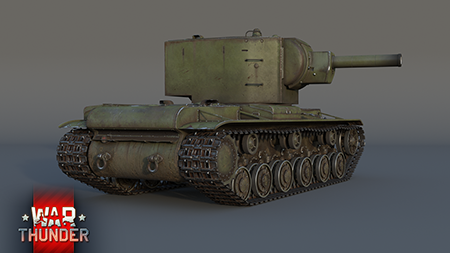 The KV-2 with the ZiS-6 cannon will be at rank III, and you’ll be able to buy the tank as part of a pack in the online store. During the summer offensive campaign of the Wehrmacht, practically all the Red Army’s KV-2s were lost – destroyed or abandoned by their crews due to breakdowns. Some of the battle-capable KV-2s ended up with the Germans as trophies, and after some modernization, these vehicles turned their weapons on their creators. Captured KV-2s differed from their Soviet counterparts in several useful modifications. German mechanics placed the command cupola from the Pz.IV on the roof of the turret – it provided the tank’s commander with excellent visibility. 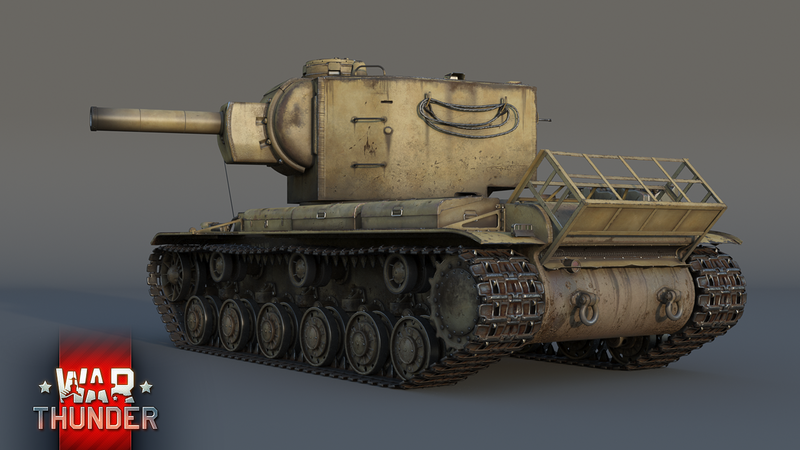 The outer ammo rack on the tank’s rear received additional ammunition capacity – note the ‘basket’ mounted on our in-game model. In addition, German technicians installed a good radio on the tank, replaced its spotlight with a blackout headlamp, and welded additional fixtures for cables and tools on the tank’s turret. In everything else – including the monstrous destructive power of the weapon – the captured KV-2 was exactly the same as its Soviet predecessor. The KV-2 754r is a premium rank III tank in German tank tech tree. 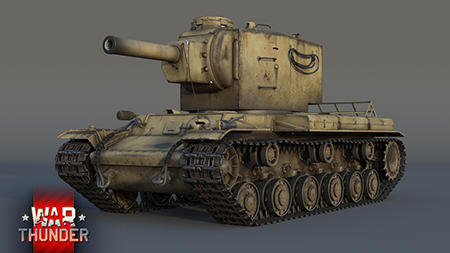 These new KV-2 tanks will arrive in War Thunder’s game server with upcoming updates – keep an eye on our news! can you ask Gajin a favor for me? Ok, so more derp for the Russians, a bulky KV-85 wannabe, and new derp for rich Germans. I can get behind that. Not with out doing the tasks though. Some players like myself either did not have time for them, or found out too late to do the tasks. So your half right and half wrong. "German mechanics placed the command cupola from the T-34 on the roof of the turret" Don't you mean Pz IV? Shame i missed out on the chronicles of WW2 the KV 1940 and the Comet on the other post look brilliant. Yay! More vehicles to annihilate my enemies with! I like the look of that KV-2 with the ZiS-6 cannon though... Big gun on an already big tank? I'm a very happy pony.